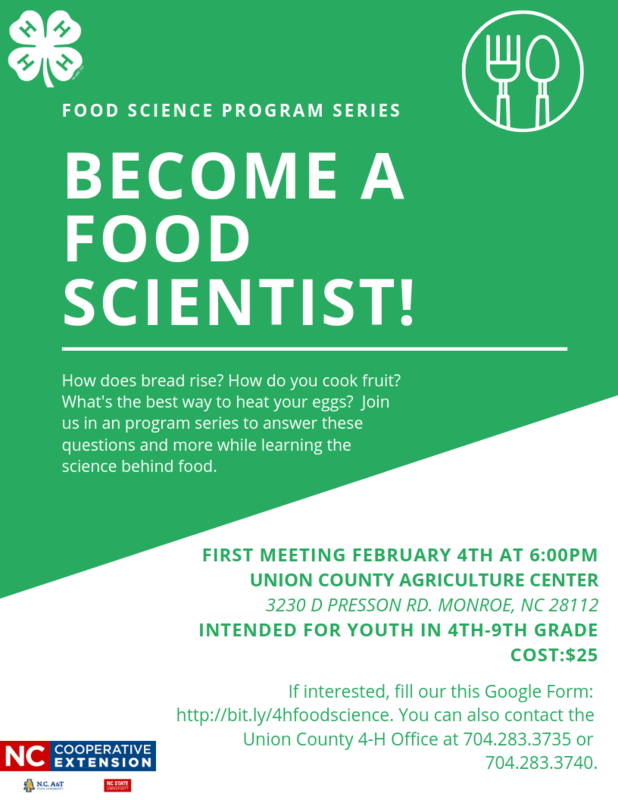 Union County 4-H is starting a new Food Science Program Series! In these interactive lessons, youth will explore the science behind common food items like eggs, bread, fruits, and vegetables. Meetings will be held bi-weekly on Monday nights starting February 4, 2019, at 6 p.m. at the Union County Agricultural Center. This program is for youth in grades 4th-9th. Sign up online. The series is $25 to help cover food costs for each session. Become a food scientist and explore what you eat.